I love Thanksgiving for many reasons. I love that we have a day devoted to this task. I love reflecting on all the blessings in my life. It makes my heart happy. I love the traditions of the holiday. The family time. The fellowship. The food. Especially the stuffing. And the green bean casserole. And the pie. It makes my belly smile. I love that we take the entire day to eat and give thanks. Or more appropriately, to give thanks and eat. I also enjoy accessorizing the holiday feast with creative bits and felt compelled to share. 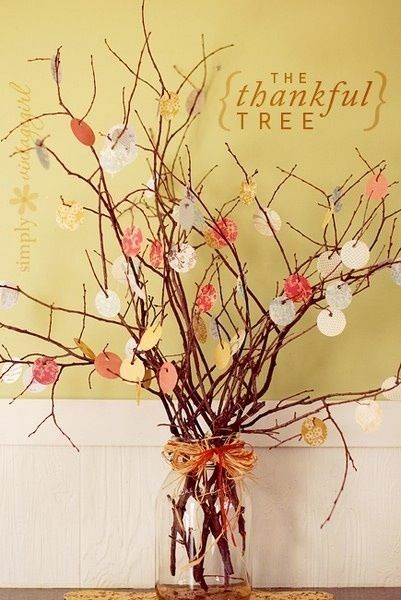 Crafting a Thankful Tree is a fun, colorful way for everyone to share what they are thankful for. Each family member may use a tag/leaf to jot down their sentiments and share them as they place their tag/leaf on the tree. What a gorgeous display by Emily Rose at Simply Vintage Girl. 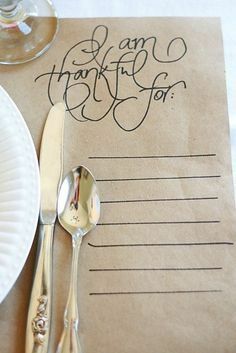 Adding a note at each place setting for family and friends to ink their blessings is another option. Your belly may fill with dread as you try to remember what you are going to say as your family goes around the table reciting what they are thankful for from memory. This allows you to write it down for easy reference, thus saving you from any turkey tongue ties. I know that’s for making a wish but I wish I knew which one to do. One this year. One next year. Thank you. Problem solved. Keeping the wee ones busy is always in good fashion. 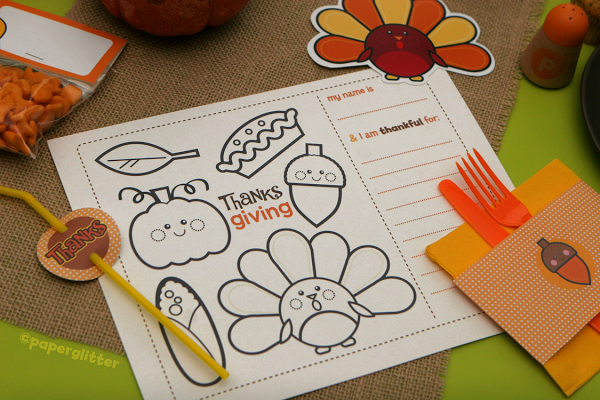 You can tailor the festivities to the little ones with these adorable printables from Paper Glitter. 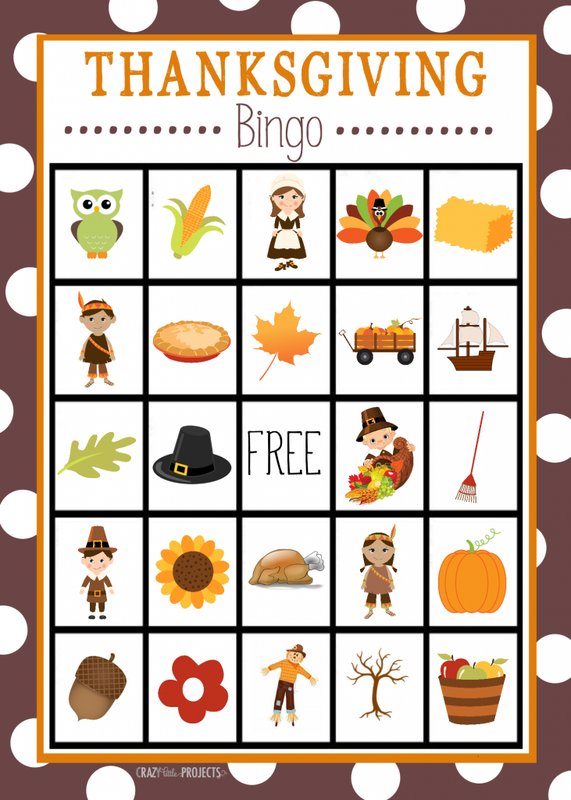 We definitely plan to play a few rowdy rounds of Thanksgiving Bingo with the little ones. And we are thankful to Crazy Little Projects for sharing these with us. This year, the kids have secured the great privilege of decorating Grandpa and Grandma’s Christmas tree. So that should keep them busy. At least for a few minutes. Click here to get the printable at the top of this post.